Posted April 26th, 2016 by Martin Welford & filed under Opal-6, Windows CE. GuruCE have a new release for Windows Embedded Compact 7 and 2013. This is the first release to support the i.MX6 QUAD version of Opal-6. It also has multi-monitor support and other graphics enhancements. The image above shows WEC7 running on the Opal-6Q and our development kit. It is driving an LVDS display at 1024×768 and the monitor via HDMI at 1920×1080. The monitor is the primary panel and has the shell task bar. The secondary LVDS panel shows a couple of control panel applets we have dragged across from the primary display. For more details, check out the GuruCE release notes and download the official release here. 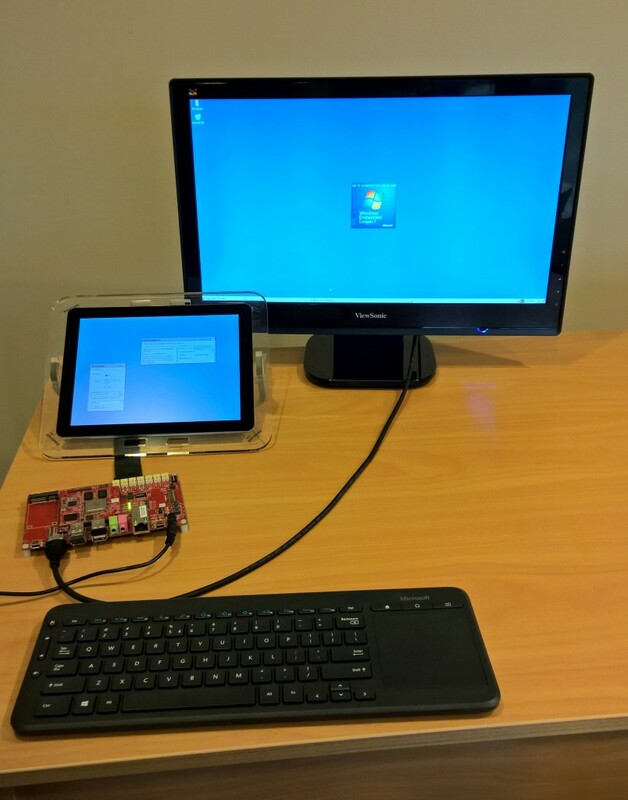 Windows Embedded Compact on the Opal-6 QuadPLUS!